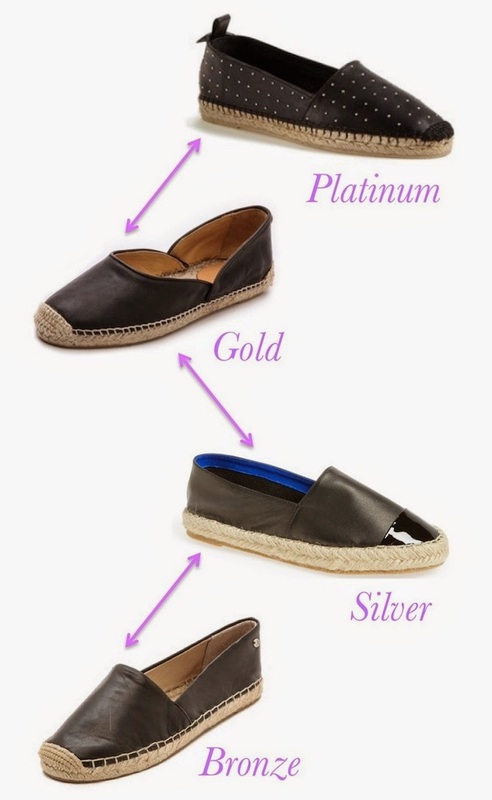 Espadrilles have long been a summer shoe staple, and this year a bevy of leather espadrilles are taking center stage. The leather elevates the traditionally canvas form to a chic flat that. From studded splurges to simple saves, below are my favorite black leather espadrilles of the season. Leather elevates the traditionally canvas espadrille form to a chic flat that looks equally great with a shift dress and jean cut offs. I have the beige and black version of the above Jeffrey Campbell leather espadrilles which I love, but my fickle heart is yearning for these tangerine flats as well. Luckily this summer shoe trend is easier to save on than to splurge on. Happy shopping! It looks great, gentlemen would love it.